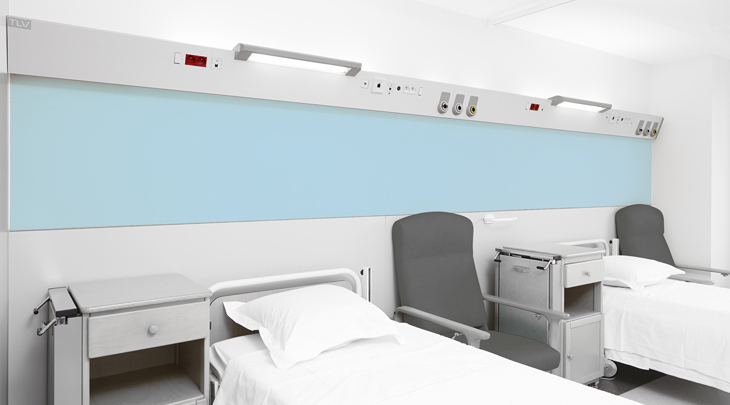 TLV designs, manufactures and sells lighting products and hospital equipment for hospital wards (both healthcare rooms and other rooms in the hospital) and technical platforms (operating room, recovery room, intensive care room, resuscitation room and haemodialysis room, etc.) for private and public healthcare facilities around the world. Since its creation, TLV has made it its priority to improve the quality of care while respecting the working conditions of the health care teams. TLV range procures a custom-made solution, an efficient lighting in compliance with medical norms and standards. TLV success is he fruit of a collaboration that has the sole purpose of creating a product capable of offering comfort and safety for patients and healthcare professionals while strictly complying with norms, international standards and sustainable development concerns.